Oxycodone is a prescription opioid painkiller that is designed to provide relief for individuals who suffer from moderate to severe pain. This medication works by binding opioid receptors in the brain and central nervous system, which allows the person taking the medication to feel a reduction in the perception of pain, as well as a reduction in his or her emotional response to the pain. Oxycodone comes in a number of different prescription formulas, including ones that begin working immediately and ones that are extended-release and work over a prolonged period of time. They may come in the form of liquids, tablets, and capsules, and have varying potencies. 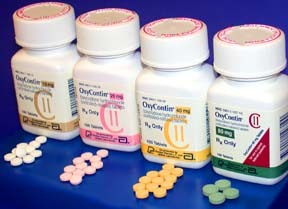 Additionally, some formulations of Oxycodone include acetaminophen, such as the prescription medication Percocet. Due to the fact that Oxycodone is very addictive, it is a highly regulated substance that is monitored by the Food and Drug Administration. Despite this strict regulation, however, Oxycodone continues to be a drug that is greatly abused. When people take Oxycodone, it can create a sense of euphoria and an overall state of well-being. This achieved “high” can be extremely appealing to individuals, which leads to continued use. The longer that a person uses this opioid substance, the higher his or her tolerance level becomes, leading to the need to increase the amount and/or frequency that is being used in order to achieve that same euphoric state of mind. 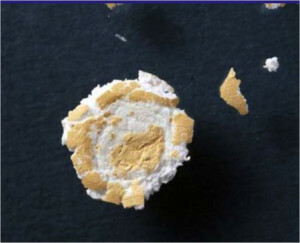 People who use Oxycodone as a means of getting high will oftentimes begin crushing up the pill, or breaking open the capsule and dispensing its contents, so that they can snort the substance. In doing so, the effects of the drug cross the blood-brain barrier more quickly, leading to a more rapid onset of pleasurable feelings. While this rapid onset can add to the appeal for users, it can also have extremely detrimental consequences. The immediate effects of snorting Oxycodone can include lightheadedness and dizziness, as well as elicit sudden changes in mood. Although taking Oxycodone orally and as prescribed can sometimes bring about negative side effects, such as drowsiness and vomiting, when snorting it, the effects become significantly more severe and much more dangerous. Because snorting this substance causes an individual’s bloodstream to absorb greater amounts of the drug than it would when taken orally, it puts the user at a much higher risk of overdosing. This is especially true when users snort crushed extended release tablets of Oxycodone because, as the nature of the drug is to provide long-lasting relief and therefore has a higher potency, people are forcing the drug to cross the blood-brain barrier all at one time instead of allowing it to work as it is designed to in providing extended relief. This sudden rush of Oxycodone entering the bloodstream can cause a person’s body to exceed its limit of tolerance and result in overdose. However, even when snorting a small dose of Oxycodone, there are a host of possible physical side effects that one can experience. Additionally, the process of crushing the pills in order to be able to snort the powder can lead to some residue getting into a person’s eyes or throat, both of which can induce extremely uncomfortable burning sensations. So, realizing all the risks and negative repercussions of snorting Oxycodone, why would anyone want to do it? Oxycodone is just like any other illicit substance. The knowledge that it can get a person high causes some individuals to become curious, creating a desire to discover what that high feels like. Some people can try it once and are done with it. Others, however, can try it and become seemingly instantly addicted to the pleasurable feelings it brings about. Addiction is a disease and, once it has developed, it can be extremely difficult to stop without proper interventions. 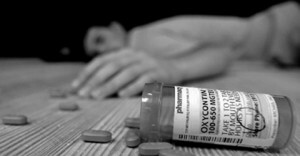 If you have reason to believe that a family member or loved one has begun abusing Oxycodone in any way, including snorting it, then it is imperative that he or she receives immediate help. Borrowing or stealing money – When a person does not receive a legitimate prescription for Oxycodone and instead has to buy it from someone else, it can be very expensive, similar to purchasing any other drug. If you or someone you know has developed a problem with abusing Oxycodone, it is crucial that treatment is received before the consequences of use become fatal. There are numerous options for receiving treatment, including inpatient treatment and detoxification, partial hospitalization or intensive outpatient programs, and traditional outpatient counseling. Addiction is a scary thing, but it can be overcome. Bio: “The Dangers of Snorting Oxycodone” was written by Abilene Behavioral Health clinical team member Erica Smith, M.A., NCC. Erica has several years of experience working in the treatment field as a clinical therapist and has her Master’s degree in Clinical Counseling Psychology from the American School of Professional Psychology. Site Description: Abilene Behavioral Health (http://www.abilenebehavioralhealth.com) is a leading community-based hospital and treatment center that is dedicated to providing the highest quality of care for children, adolescents, and adults who are struggling with mental health or chemical dependency concerns. By taking a holistic approach to treatment, the staff at Abilene prides itself on treating the whole person, not just the symptoms of addiction. At Abilene, we strive to provide excellent care and supreme customer service to everyone who comes to us for treatment.